AN ACT TO APPOINT PERSONS TO VARIOUS PUBLIC OFFICES UPON THE RECOMMENDATION OF THE SPEAKER OF THE HOUSE OF REPRESENTATIVES AND TO MAKE MODIFICATIONS TO APPOINTMENTS MADE IN 2018.  AN ACT TO MODERNIZE THE LOAN ORIGINATION FEE FOR NORTH CAROLINA BANKS AND TO ADJUST THE LATE PAYMENT CHARGE FOR CERTAIN LOANS. AN ACT TO PROVIDE FLEXIBILITY TO THE COLLEGE OF THE ALBEMARLE IN USING STATE FUNDS TO ENTER INTO CONSTRUCTION PROJECTS WITH DARE COUNTY FOR EDUCATIONAL FACILITIES. AN ACT TO ALLOW FOR UNIFORM ZONING CLASSIFICATION OF CERTAIN RESIDENTIAL FACILITIES AT NORTH CAROLINA CENTRAL UNIVERSITY. AN ACT TO EXTEND THE TERMS OF OFFICE OF CERTAIN MEMBERS OF THE BOARD OF TRUSTEES OF COASTAL CAROLINA COMMUNITY COLLEGE. AN ACT TO MAKE TECHNICAL CHANGES TO THE REVENUE LAWS. AN ACT RELATING TO THE MANNER IN WHICH VACANCIES ARE FILLED IN THE OFFICE OF SHERIFF IN ALEXANDER COUNTY AND THE OFFICES OF SHERIFF, REGISTER OF DEEDS, AND BOARD OF COMMISSIONERS IN BURKE COUNTY. AN ACT TO DELAY THE IMPLEMENTATION OF THE REGULATORY REQUIREMENTS OF S.L. 2018-144 IN ORDER TO ENSURE THE EFFICIENT ADMINISTRATION OF UNEXPECTED SPECIAL ELECTIONS. AN ACT TO EXTEND THE DEADLINE TO APPLY FOR THE HURRICANE FLORENCE AGRICULTURAL DISASTER PROGRAM OF 2018 FOR CERTAIN COUNTIES THAT RECEIVED A PRESIDENTIAL OR SECRETARIAL DISASTER DECLARATION AS A RESULT OF HURRICANE MICHAEL AFTER THE ORIGINAL DEADLINE. AN ACT TO RESTORE THE NUMBER OF JUDGES ON THE NORTH CAROLINA COURT OF APPEALS TO FIFTEEN. AN ACT TO APPOINT PERSONS TO THE STATE ETHICS COMMISSION UPON THE RECOMMENDATION OF THE PRESIDENT PRO TEMPORE OF THE SENATE AND THE SPEAKER OF THE HOUSE OF REPRESENTATIVES.